till it's as green as the other. a chunk of rye bread and poems for breakfast. and ice creep up north windows. I wish u best of d best. and an empty wine bottle. forever may they be the same. Sharon Auberle is a writer and photographer who, after seventeen years in the Southwest, has found the true place of her heart in Door County, Wisconsin. 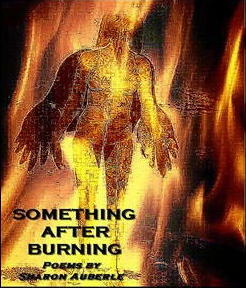 Her poems and photos have appeared in numerous publications and online magazines, and in a number of anthologies. 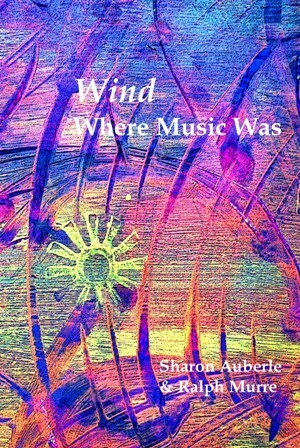 Sharon is the author of a memoir in poetry, two collections containing both her poems and artwork, and several collaborations with other poets. For reasons which are still a mystery to her, she has authored a blog, Mimi's Golightly Café, for ten years. Learn more about Sharon here. Very fine poem, what we all want for New Year's. What a wonderful poem for the New Year, for any time. Came home to this late now in the evening, and your generosity is awesome. Thanks, Sharon. Poems for breakfast. Rainbows. Hope. Love having "poems for breakfast" the perfect poem for a new day and a new year. Thank you Sharon for weaving words into beautiful poems. What a wonderful poem to wake up to on NY day. For me it is the schmaltziest day of the year. Sharon's poem, of course, rises above my nostalgia-laden thoughts. What a wonderful way to begin a new year...with a poem by one of my favorite poets. Thanks, Sharon, for sharing. Perfect poem from an amazing poet to bring in the new year...yes, may they be the same.